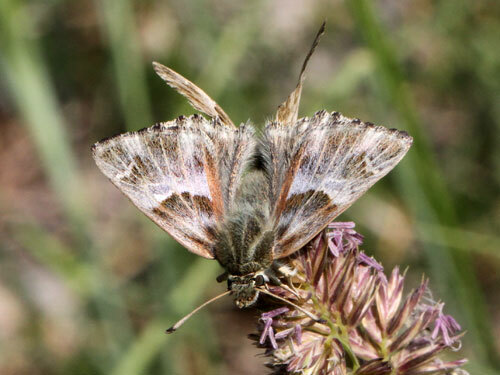 This is a butterfly of the southern Balkans. 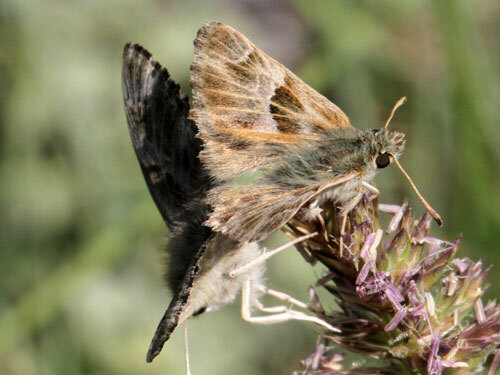 A large dark grey member of this group of skippers. 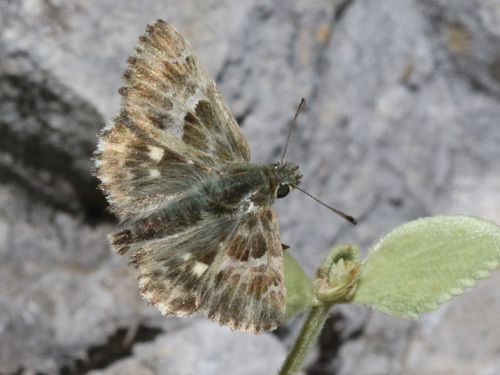 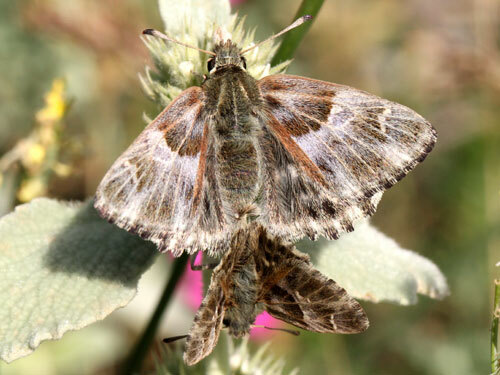 Identification & Similar species: The dark grey colouration separates it from most similar species, as does the sparsely marked and rather uniform underside hindwing. 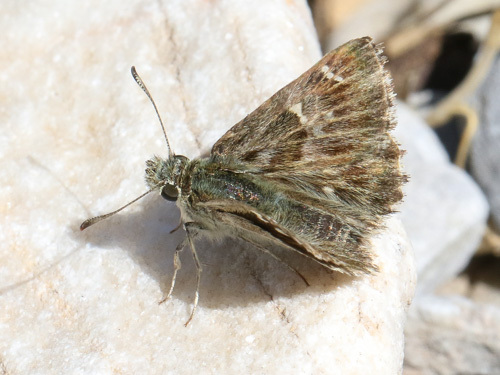 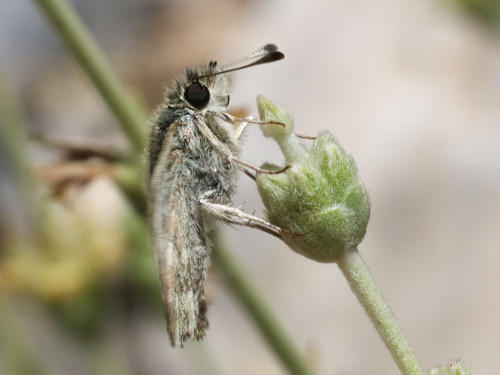 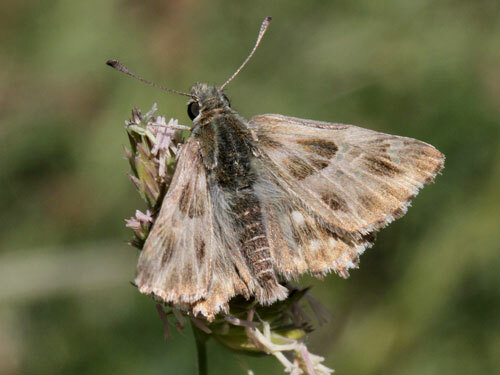 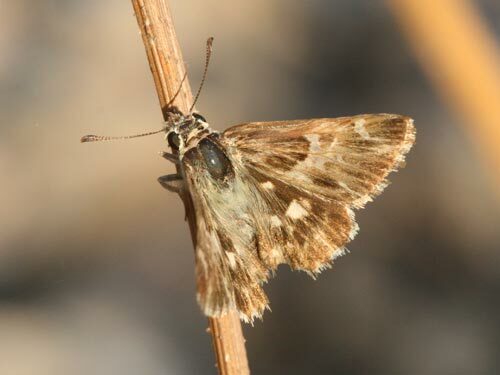 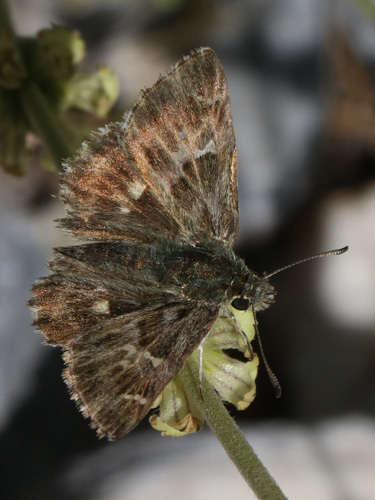 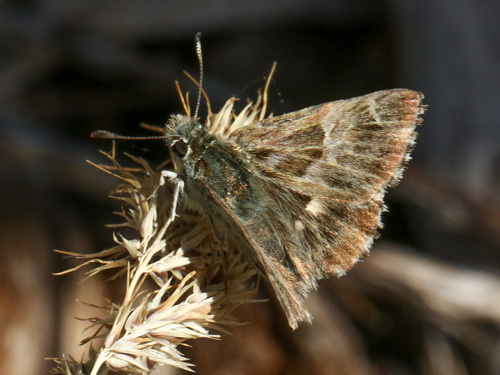 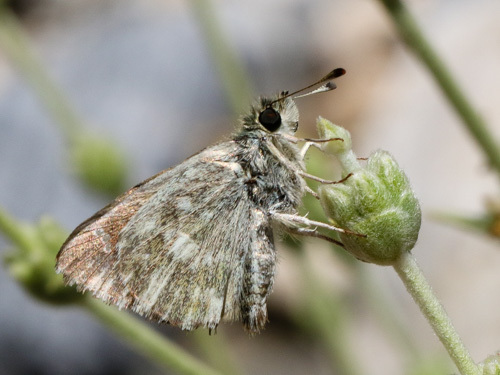 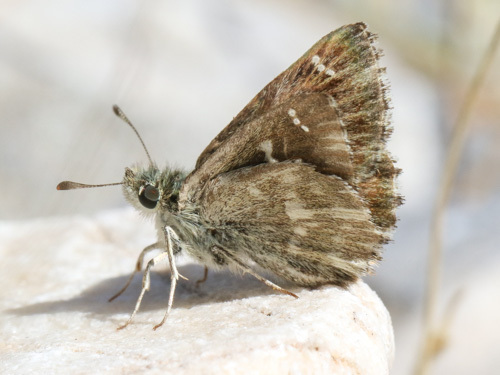 The tufted marbled skipper C. flocciferus is extremely similar and occurs in the same region in the summer. 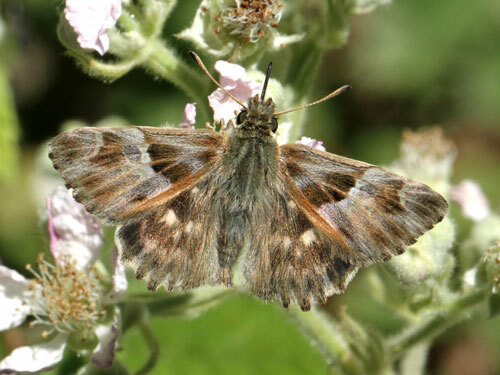 That species generally prefers damper cooler locations (eg higher altitudes, northern sides of mountains etc). 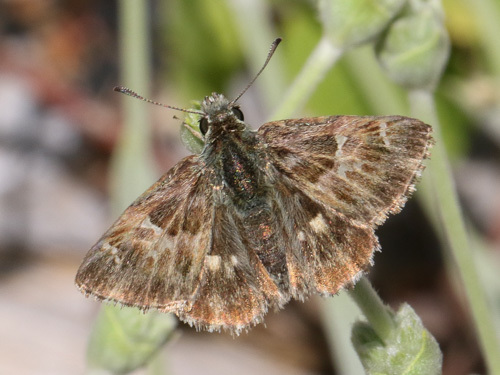 The current species has relatively pale underside hindwing and a more complete discal band, although individual variation is great and these differences are not always convincing. 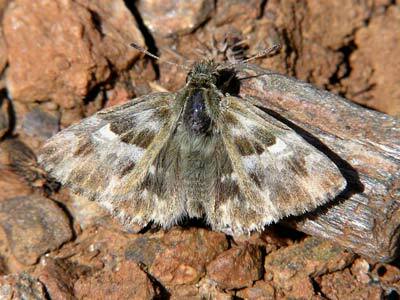 The upperside also has a warmer feeling, although that cannot be used as a definitive identification aid. 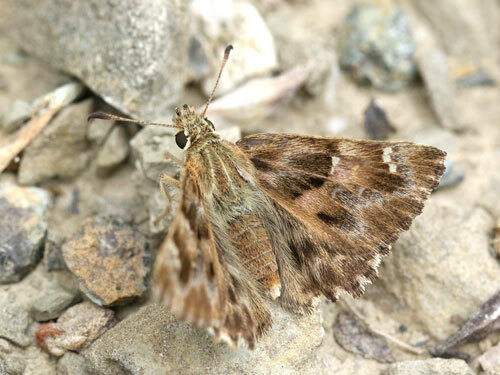 Distribution & Flight: It is principally a mountain species of Spain, France, the Alps and the Balkans. 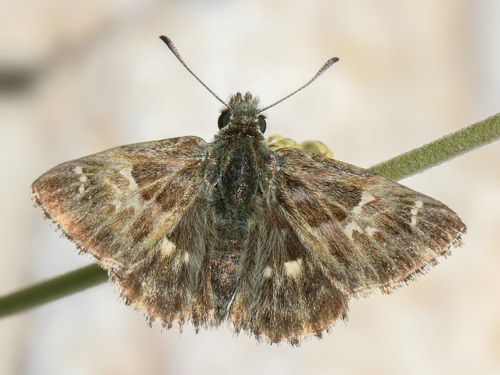 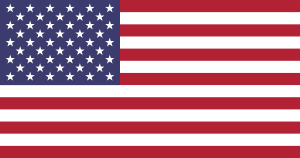 It is also widespread in peninsular Italy. 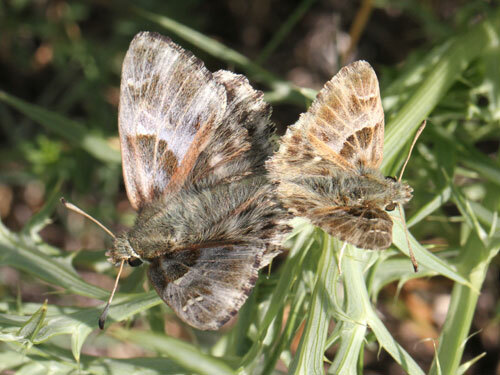 Double brooded in the west in May/ June and July/ August. 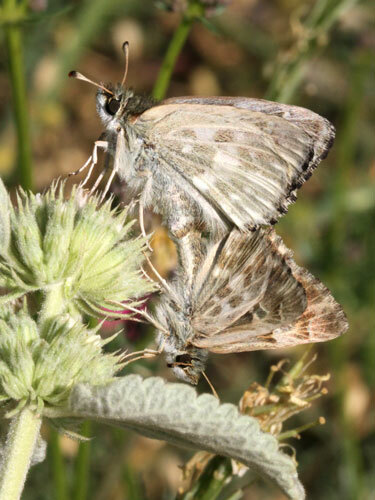 Only in the summer in the Balkans. 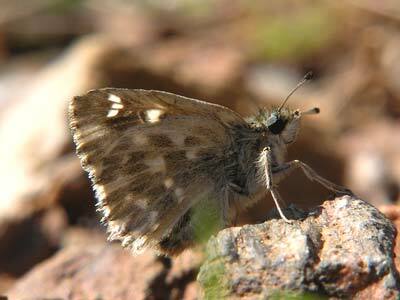 Habitat & Behaviour: Hot dry rocky slopes, often with light woodland and scrub.